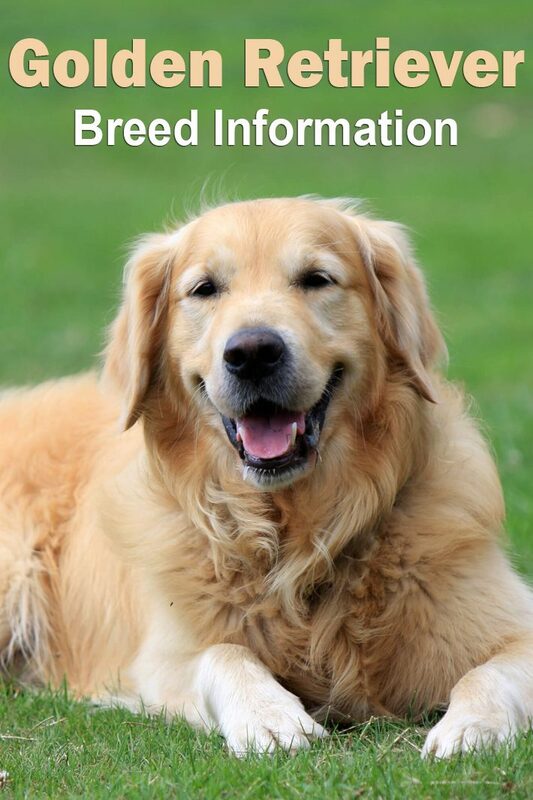 It’s no surprise that the Golden Retriever is one of the top ten most popular dogs in the U.S. It’s all good with the Golden: he’s highly intelligent, sociable, beautiful, and loyal. He’s also lively. 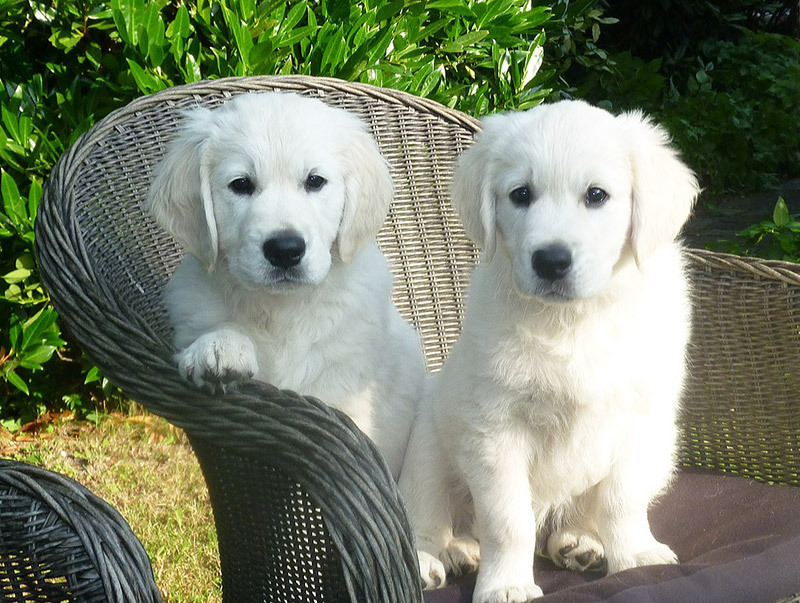 The Golden Retriever is slow to mature and retains the silly, playful personality of a puppy until three to four years of age, which can be both delightful and annoying. Many keep their puppyish traits into old age. The breed’s friendly, tolerant attitude makes him a fabulous family pet, and his intelligence makes him a highly capable working dog. Golden Retrievers excel at retrieving game for hunters, tracking, sniffing out drugs, and as therapy and assistance dogs. They’re also natural athletes, and do well in dog sports such as agility and competitive obedience. The Golden Retriever is a sturdy, medium-large sized dog. The skull is broad and the muzzle is straight, tapering slightly with a well-defined stop. The nose is black or a brownish black. The teeth meet in a scissors bite. The medium to large eyes are dark brown. The relatively short ears hang down close to the cheeks. When pulled forward the tip of the ear should just cover the eye. The tail is thick at the base with feathering along the underside. Dewclaws may be removed. The water-resistant coat is dense with a firm, straight or wavy outer coat. There is an untrimmed feathering on the underbelly, back of the legs, front of the neck and underside of the tail. Coat color comes in cream to a rich golden. 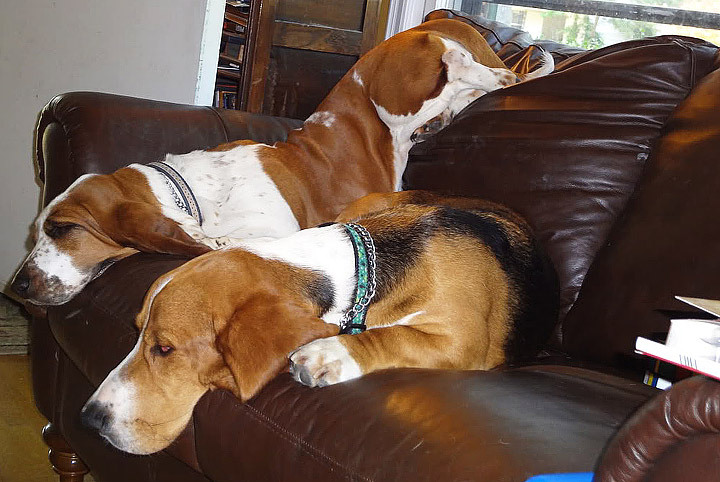 These are lovable, well-mannered, intelligent dogs with a great charm. They are easily trained, and always patient and gentle with children. Charming, devoted and self-assured, they are a popular family dog. 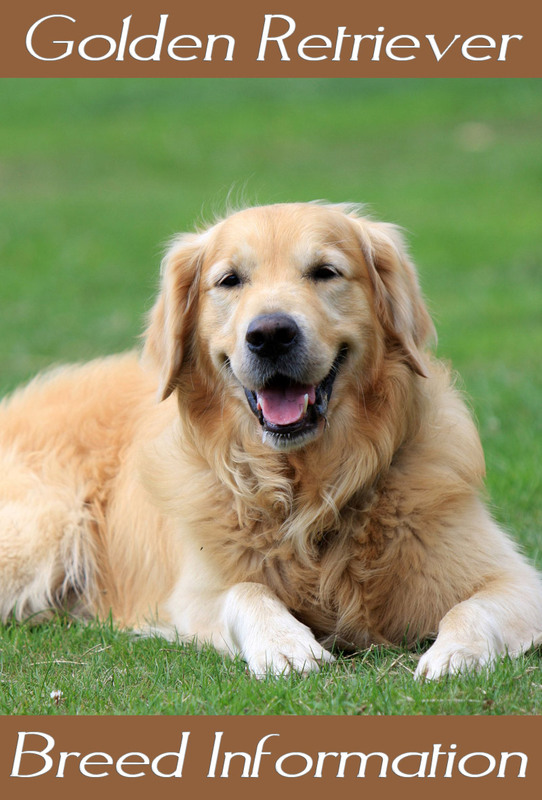 Energetic and loving, Golden Retrievers enjoy pleasing their masters, so obedience training can be very rewarding. They excel in competitions. 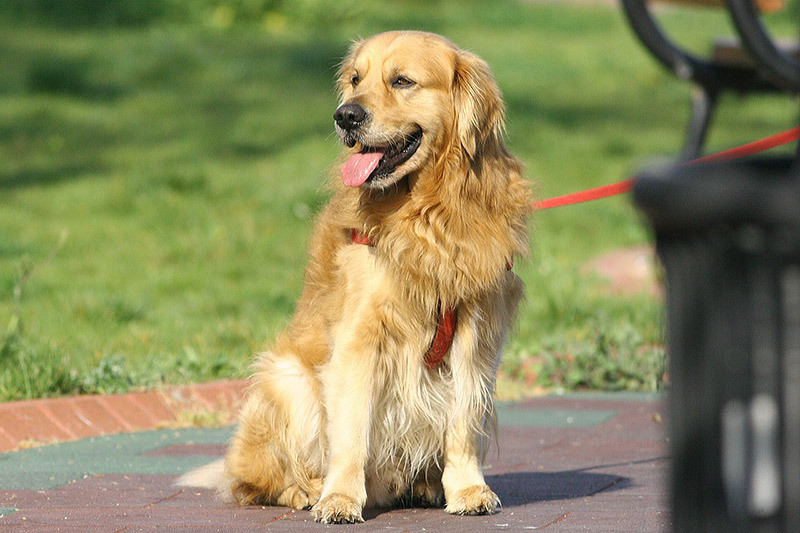 Friendly with everyone, including other dogs, the Golden Retriever has very little, if any, guarding instincts. While unlikely to attack, Goldens make good watchdogs, loudly signaling a stranger’s approach. This breed needs to be around people who display leadership to be happy. The Golden Retriever may become destructive and/or high-strung, over-exuberant if he is lacking in daily mental and physical exercise. Be sure to remain this dog’s firm, but calm, confident, consistent pack leader to avoid behavioral issues. Some of the Golden’s talents are hunting, tracking, retrieving, narcotics detection, agility, competitive obedience and performing tricks. These dogs also love to swim. Keep your Golden in good shape by measuring his food and feeding him twice a day rather than leaving food out all the time. If you’re unsure whether he’s overweight, give him the eye test and the hands-on test. First, look down at him. You should be able to see a waist. Then place your hands on his back, thumbs along the spine, with the fingers spread downward. You should be able to feel but not see his ribs without having to press hard. If you can’t, he needs less food and more exercise. You’ll need to take special care if you’re raising a Golden puppy. 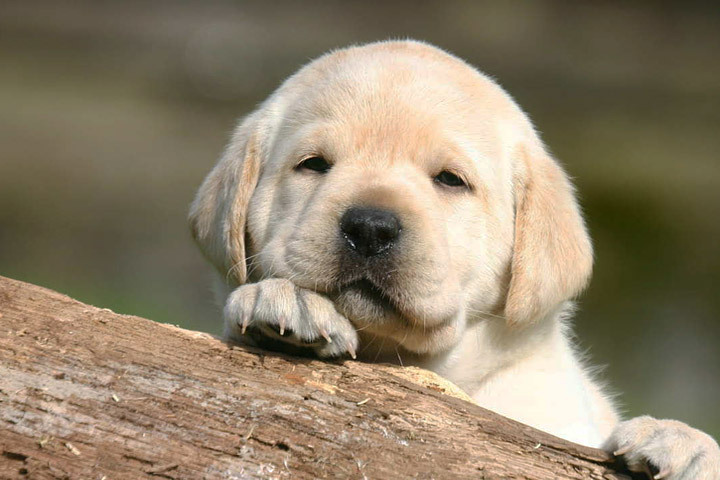 These dogs grow very rapidly between the age of four and seven months, making them susceptible to bone disorders. They do well on a high-quality, low-calorie diet that keeps them from growing too fast. The Golden Retriever needs to be taken on a daily, brisk, long walk, jog or run alongside you when you bicycle, where the dog is made to heel beside or behind the person holding the lead, as instinct tells a dog that the leader leads the way and that leader needs to be the human. In addition, they like to retrieve balls and other toys. 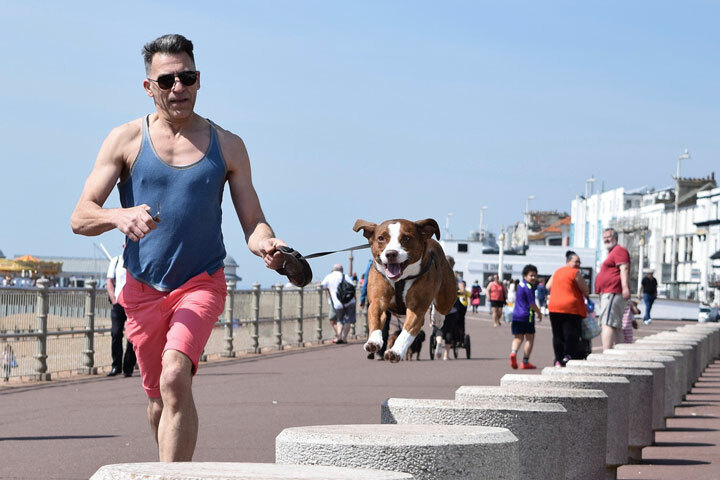 Be sure to exercise this dog well to avoid hyperactivity. Regular brushing of the long double coat will keep it in good condition, but extra care is needed when the dog is shedding its dense undercoat. Comb and brush with a firm bristle brush, paying particular attention to the dense undercoat. Dry shampoo regularly, but bathe only when necessary. This breed is an average shedder. Prone to cancer including mast cell tumors. Also prone to hip dysplasia, Von Willebrand’s disease, heart problems and congenital eye defects. 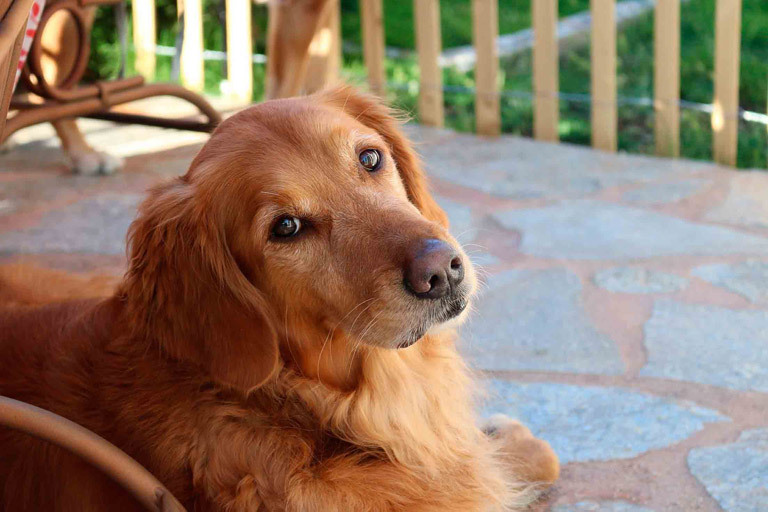 Skin allergies are common in Golden Retrievers and often require veterinary attention. Gain weight easily; do not overfeed your Retriever.